171623 1/144 Gundam AGE-1 Titus HG by Bandai Hobby. - AGE system finally born! 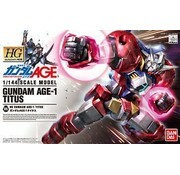 Retrofit to new hardware form AGE-1, Titus! - Fitted with clear plastic for the `beam` mortal Titus Lariat, reproduced by the moving parts. 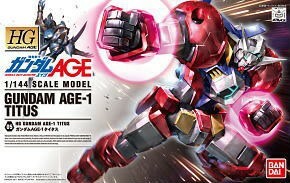 - Beam that fires when each mortal is reproduced with clear parts. Can be fitted to each region. 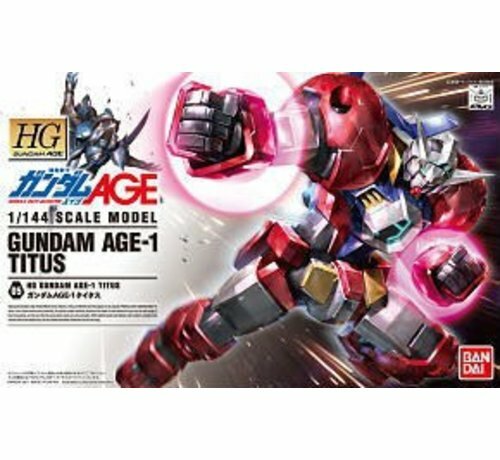 - Titus ... Gundam Gundam AGE AGE-1 was proposed by a new form AGE-1 system. Has been dedicated to war fighting, destroy the enemy with overwhelming power.